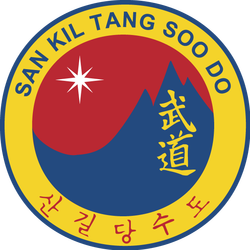 Tang Soo Do (Hangul: 당수도) is the Korean pronunciation of the Chinese characters 唐手道. Tang Soo Do literally means "The Way of The Chinese Hand" and has roots in various styles of martial arts including those found in Korea, China, and Okinawa. These roots started in Korean Soo Bahk, Chinese Shaolin and Japanese Shotokan. The first word "Tang" represents the Chinese Tang Dynasty (617-907 AD). Tang Soo Do is shaped by 60% Soo Bahk Do, 30% northern Chinese and 10% southern Chinese. Kicking techniques, for which Tang Soo Do is unsurpassed, are based on Soo Bahk. According to The History of the Moo Duk Kwan (from which the majority of all modern Tang Soo Do stylists trace their lineage) the development of modern Tang Soo Do can be traced to a single founder: the late Grandmaster Hwang Kee. Kwan Jang Nim Hwang Kee learned Chinese martial arts while in Manchuria. He also was influenced by the indigenous Korean arts of Taekkyon (택견) and Subak. He has also written that he learned the philosophy of Okinawan Karate from Gichin Funakoshi's books. Kwan Jang Nim Hwang Kee also was highly influenced by a 1790 Korean book about martial arts called the Muye Dobo Tongji (武藝圖譜通志 / 무예도보통지). With these experiences in martial disciplines and from these humble beginnings in Japanese occupied Korea, Hwang Kee founded his first Moo Duk Kwan martial arts school in Yangsan-gu on November 9, 1945.